EUREKA, CA (May 13, 2017) – The second race of the 2017 season at Redwood Acres Raceway took place this past Saturday night. It was the annual Pepsi Night at the races and another packed house witnessed another memorable night that featured exciting racing and some scary incidents. In the Nor-Cal Automotive Legends division, Cody Winchel set quick time with a 17.888. Winchel followed up his fast time with a win in the trophy dash. M’Kinzy Uselton won her first ever race in the first heat while Winchel took the second. 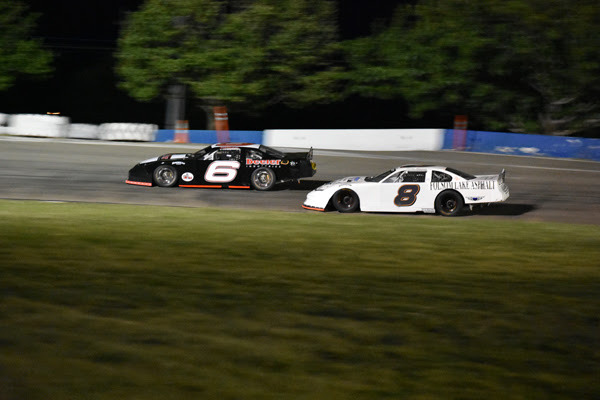 Two rookies in Uselton and Dominic Vogelsang led the field to the green in the 25-lap feature. Uselton took the initial lead but lost it on lap three to Brad Curtice. Spins by Robert Miller in turn two and Vogelsang didn’t result in caution flags. Curtice had a firm hold on the lead until lap 10 when Uselton spun out. After another caution, Winchel was able to take the lead on the restart and pulled to a commanding lead. Brent Mack suffered a massive engine failure on lap 19 which brought out the red flag. When racing resumed, Winchel reasserted himself as the top competitor and was able to take the win. Brad Curtice placed second while Miller, Anissa Curtice and Mack rounded out the top five. Donnie Brown was subbing for Jim Redd in the Fortuna Wheel & Brake bomber class and he set fast time for the night with a 18.400. Brown took the win in the trophy dash while Raymond Taylor won a spirited heat race. Ray Rapp was driving his daughter Bethany’s car for the night. 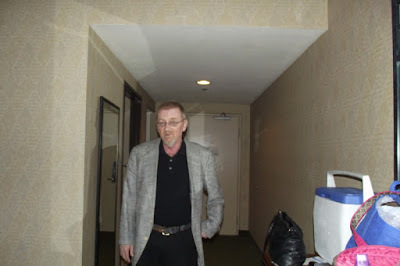 He along with James Moore led the field to the green flag. The race was slowed on lap four when Jimmy Sorrels car stopped in the infield. Brown took the race lead on the restart but on lap seven, Moore maneuvered into first. While moving through slower traffic, Moore tried to pass Chris Naughton on the outside of turn four. Unfortunately the two got together and hit the wall forcing both drivers out of the race. Brown resumed as race leader but spun in turns three and four on lap 20 giving Rapp the lead. With two laps remaining, Lally was able to get by Rapp for what proved to be the race win. At the checkered it was Lally winning over Rapp, Brown, Taylor and Moore. Qualifying for the Humboldt Hydroponics mini stock division was paced by Brian Murrell, Sr. with a 18.855. Brett Murrell was the trophy dash winner while heat race winners were Trevor Eacert and Brett Murrell. Cole Peterson and Troy Lee led the field to the green in the 25-lap main event. After two early cautions, Murrell, Sr. took the lead from Lee as Murrell followed into second. The middle stages of the main featured a spectacular duel between the father and son duo of Brian and Brett Murrell. On lap nine, Brett moved to the lead. A lap later, the lead exchanged yet again with Brian getting the upper-hand. On lap 12, Brett made what proved to be the winning move for the lead. A late caution due to a spin by Lee in turn four bunched the field but Murrell was able to hold off all challengers. At the finish it was Brett Murrell winning followed by Brian Murrell, Sr., Jarrett Mayo, Eugene Palmer and Trevor Eacert. Paul Peeples, Jr. set fast time for the Lone Star Junction Thunder Roadster division with a 17.188. Ronnie O’Neil took the trophy dash win while the heat race went to Peeples. Jason Mitchell and Chris Sarvinski paced the field to the green in the 30-lap feature. The race proved to be caution-free as Sarvinski took the lead from the start over O’Neil. On lap four, O’Neil moved under and by Sarvinski and pulled out to a substantial lead. As the race progressed however, Peeples was able to close the gap. With five laps remaining, the margin between first and second was barely a car length. O’Neil was able to withstand the pressure from Peeples and took the feature win. Payne placed third over Sarvinski and Corey Toole. Fast time for the California State and Federal Employee’s Credit Union roadrunners was set by Daniel Buell with a lap of 20.518. Buell followed his fast time up with wins in the trophy dash and heat race. Natya Hanson and Jennifer Murrell led the field for the 20-lap feature. The first 10 laps were raced in reverse fashion and immediately Buell took the lead and ran away from the field. Even after reversing the course and going in the normal direction, Buell was dominant. Nick Ford made up ground in the final few laps and by the last lap, the two were less than a car length between each other. Coming off turn four, Ford made a last ditch effort for the win. Buell and Ford raced side-by-side to the checkered flag with Buell edging Ford. Jake Keeling took third while Jordon Paiment placed fourth and Tim Ratzlaff fifth. The second race of the Super 6 Late Model Challenge Series presented by Danielson Construction, Mid-City Motor World and North Coast Lighting & Electric took place on the night. Brandon White set the pace for the field of 17 cars with a time of 15.759. The heat races determined the starting lineup for the 75-lap feature. 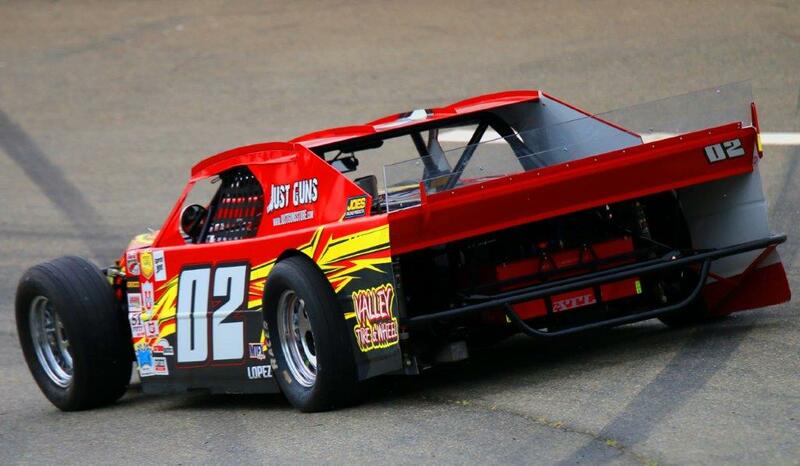 Heat race one was won by Northern California racing legend, Jim Walker while the second heat was won by Riley Watson. Mic Moulton used the outside pole position to his advantage as he shot out to the lead at the drop of the green flag. On lap nine, third place starter and winner of the first Super 6 race, White took the lead. White looked to have the dominant car yet again as he led the majority of the first half of the event. Fan favorite Walker lasted only 20 laps before he pulled into the pits for the night. By lap 25, Brandon Ash had moved his way to second and began slowly gaining ground on White. On lap 40, Ash maneuvered by White for the race lead. A few laps later, White pulled into the pits with problems. Ash looked to have the race in hand until a caution flew on lap 68 due to fluid on the track. It was determined that the fluid was coming from Ash’s car and the Oregon driver was forced out of the race. Watson inherited the lead and had a duel with Moulton and Marty Walsh. Coming off turn four on lap 69, Walsh and Watson got together. Walsh slide into the infield and back onto the track in turn one collecting Watson. Both drivers hit the turn one and two wall hard but thankfully neither was injured. Moulton took the lead and held off David Henderson’s charge in the final handful of laps to take the victory. Eric Gannon placed third while Kenny Demello had another stellar run in fourth and Richard Knight took fifth. DAYTONA BEACH, Fla. — Most drivers will tell you that the key to winning races is starting up front. Defending NASCAR K&N Pro Series West champion Todd Gilliland is taking that adage to new heights as the series heads to California’s Orange Show Speedway on Saturday for the Orange Show 150. With Gilliland’s 21 Means 21 Pole Award last weekend at Washington’s Spokane County Raceway, the Sherrills Ford, North Carolina, driver earned his record breaking fifth consecutive pole — the previous record of four straight was established by Jim Insolo in 1978 and shared by Ron Eaton, who accomplished the feat in 1982. Now with five consecutive poles and the point lead heading into Orange Show, Gilliland, who became the youngest NASCAR national or touring series champion last season, is on the verge of making even more history. The 17-year-old, the NASCAR Next driver celebrated his birthday on Monday, has his sights set on a fifth consecutive win to tie the series mark set by Hershel McGriff, who won five straight races during the 1972 season. In an interesting bit of symmetry, one of McGriff’s wins during that record-setting run came at Orange Show. He won his fourth of his five consecutive wins at the San Bernardino oval during the 30-race season in which McGriff won 12 times. EVENT SCHEDULE: Saturday, May 20 – Garage opens: 11:45 a.m.; Practice: 2:45-3:30 p.m., 3:45-4:30 p.m.; Group qualifying: 5 p.m.; Driver autograph session: 6 p.m.; Orange Show 150: 8:15 p.m.
TRACK CONTACT: (909) 201-1918 or hrposspeedway@outlook.com. The Race: The Orange Show 150 will be the sixth of 14 races on the 2017 NASCAR K&N Pro Series West schedule. The Procedure: The maximum starting field is 22 cars, including provisionals. The first 18 cars will secure starting positions based on the group qualifying process. The remaining four spots will be awarded through the provisional process. The race will be 150 laps (37.5 miles) with a five-minute break occurring at or near the conclusion of lap 75. The Track: A .25-mile asphalt oval, Orange Show Speedway is the longest continually-operated race track in the nation, having held competition since 1947. 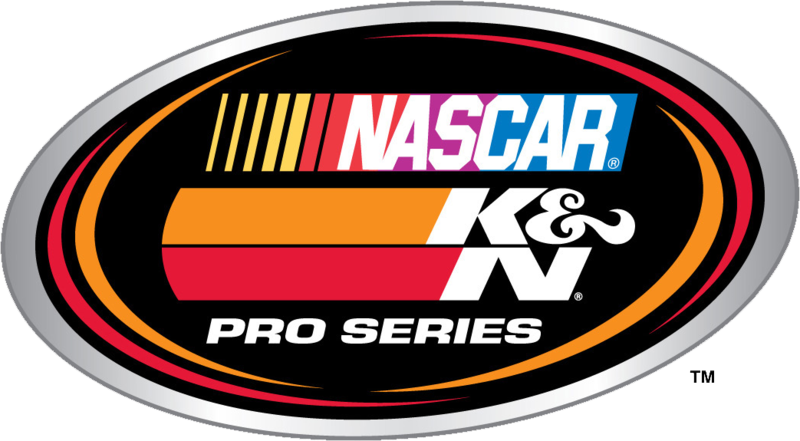 Race Winners: There have been six different winners in the nine previous NASCAR K&N Pro Series West races held at Orange Show. Jack McCoy won four times at the speedway, including three straight from 1969-1971. Pole Winners: In the six previous events at Orange Show, there have also been six different pole winners. There have only been two drivers to take home multiple poles at Orange Show, Jack McCoy and Ray Elder. McCoy won three poles at the .25-mile oval while Ray Elder earned two. Success Rate: Chris Eggleston, who won the season opener at Arizona’s Tucson Speedway, returns to Orange Show as the track’s winningest active driver at the track. In fact, he’s the only driver entered in the Orange Show 150 to have previously win at the San Bernardino oval. Eggleston won last year’s 150-lap event at Orange Show in the series’ return to the facility after a 38-year absence. 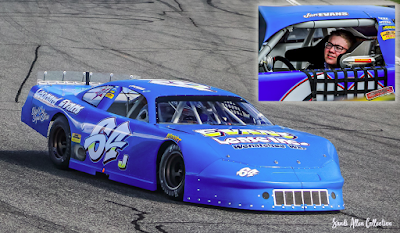 Eggleston led the final seven laps en route to victory after starting third in the field, taking the lead from pole sitter Ryan Partridge in the closing stages of the event. The Erie, Colorado, native and the 2015 NASCAR K&N Pro Series West champion, has five top-five finishes through five races this season, having finished on the podium in all but the second event of the season at California’s Kern County Raceway Park, where he finished fourth. Rookie Crop: A total of four rookies sit in the top nine positions in the K&N Pro Series West standings headed into the Orange Show 150. Derek Kraus of Stratford, Wisconsin, ranks third in the standings and is closing in his first career win. Kraus, who has three top-five finishes through the first five races of the season, finished second at Spokane last weekend. It was his second series career runner-up finish. Garret Archer sits fourth, just three points behind Kraus, with an identical stat line of three top fives and four top 10s through the first five races. Will Rodgers is sixth in the standings and Kody Vanderwal ninth. Learning Curve: Jesse Iwuji returns to the site of his best career finish this weekend at Orange Show. Iwuji, of Carrollton, Texas, posted his only career top-10 finish at Orange Show last season, and the timing of the tight quarter-mile on the schedule couldn’t be better for the 29-year-old driver. Iwuji enters this weekend coming off his best finish of the season, 15th at Spokane County. Iwuji is driving the No. 36 Champion Parts/Lights Out/Bullet Proof Energy Chevrolet owned by former National Football League linebacker Shawne Merriman. Big Apple: After finishing fourth in the final standings a year ago to become in the highest-finishing female in the NASCAR K&N Pro Series West history, Julia Landauer’s season got off to a slow start before taking steps in the right direction over the last two races. Landauer, of New York, New York, enters Orange County off three straight top-10 finishes, including a sixth-place run in the second event of the NAPA Auto Parts Twin 100s at California’s Irwindale Event Center and a seventh-place finish at Spokane. She has moved from 12th to seventh in the standings with her impressive runs as of late. Last season, Landauer posted the second of her seven top-five finishes at Orange Show, where she started eighth and was one of only nine cars to finish on the lead lap.